Growing rice has been the main activity for people living along-side Lake Tanganyika for many years. However, the lack of improved techniques and seeds has caused low production and farmers could not expect to gain much from it. As part of its programme to ensure food security the Anglican Church of Burundi over the past two years has trained and equipped farmers with agricultural techniques and materials in order to improve rice production. Already the farmers are seeing changes in agricultural production and consequently in their daily lives. Esperance Ndayishimiye is one of those farmers whose life has been changed as a result of the income from increased harvests. “Our situation has improved since we no longer cultivate the rice just for consumption. I’m now able to meet easily my family’s needs. I pay school fees for my children. I have bought lands and built houses.” she said. The Province of the Anglican Church of Burundi is working in partnership with Episcopal Relief and Development (ERD) and with the Burundi Institute for Agronomic Sciences (ISABU) to tackle food insecurity and to provide improved seeds to communities that are most vulnerable. 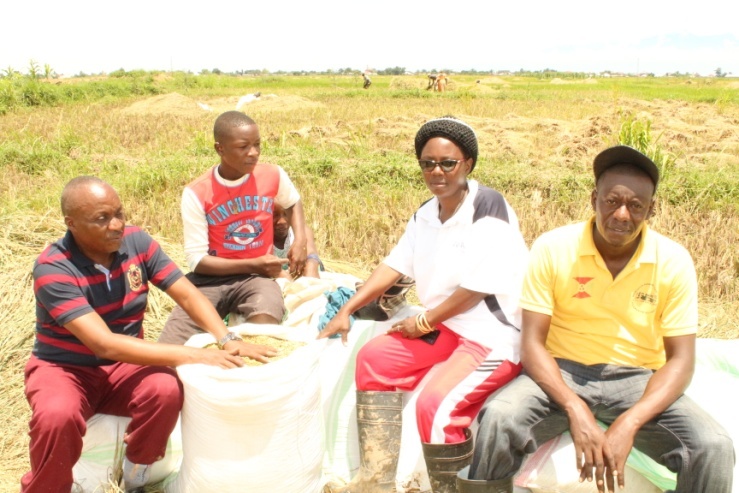 The beneficiaries of the improved rice seeds, who are encouraged to work in associations, have adopted a good strategy of sharing it with other members of the community. At the harvest they sell a certain quantity of improved seed at a low cost to other farmers in order to see increased production of rice. 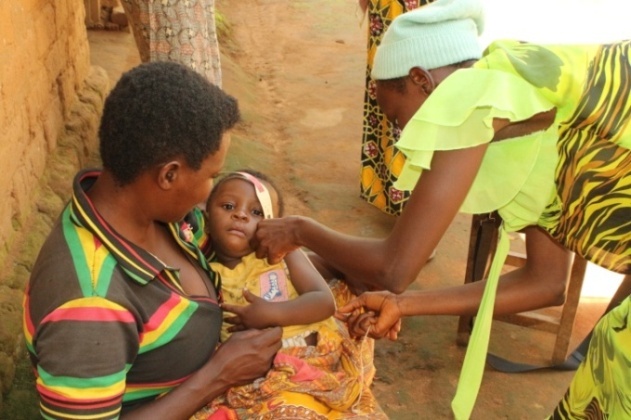 A recent survey conducted by the Anglican Church of Burundi in Rumonge has shown that malnutrition is still a challenge for many families living in the Rumonge area with children under five years mostly affected. Community health workers have undertaken door to door visits to identify children affected and to give advice to parents. They also transfer patients to the health centres for treatment. They also help members of the community to set up kitchen gardens where they grow vegetables to improve their diets without extra financial resources. The Archbishop, the Most Rev. 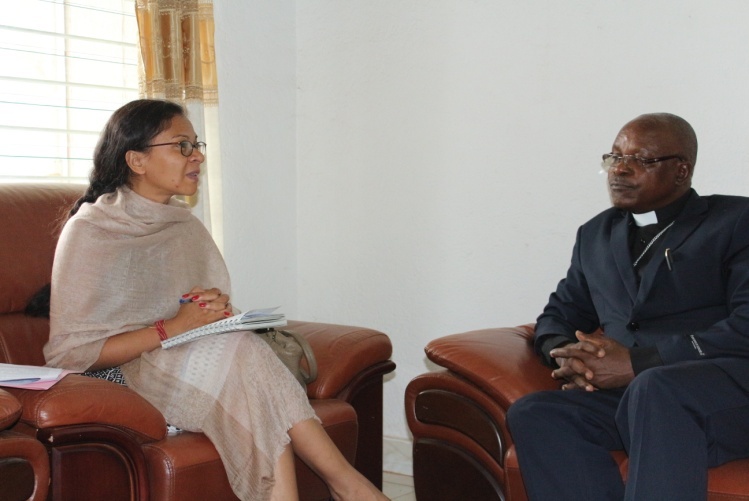 Martin Blaise Nyaboho met with the new Head of Communication Department in UNICEF-Burundi. Mrs Farellia Tahina expressed satisfaction with the partnership between the Province of the Anglican Church of Burundi and UNICEF. She said that it’s a pleasure to work with organisations like Churches because they represent a strong force for change in communities and in the country. For almost 3 years the Anglican Church of Burundi has been working with UNICEF to deal with malaria and hygiene related diseases and to train youth to develop life skills. Archbishop Martin expressed his gratitude to UNICEF for the achievements that the partnership has brought and stressed the necessity of exploring other initiatives. Three pastors and two deacons have been ordained in Gitega diocese by Bishop John Nduwayo and his Assistant Bishop Aimé Joseph Kimararungu. Two of those newly ordained are studying at Bujumbura Christian University (BCU). The Vice-Chancellor Emeritus of BCU Canon Donald Werner attended the ceremonies to support his former students. 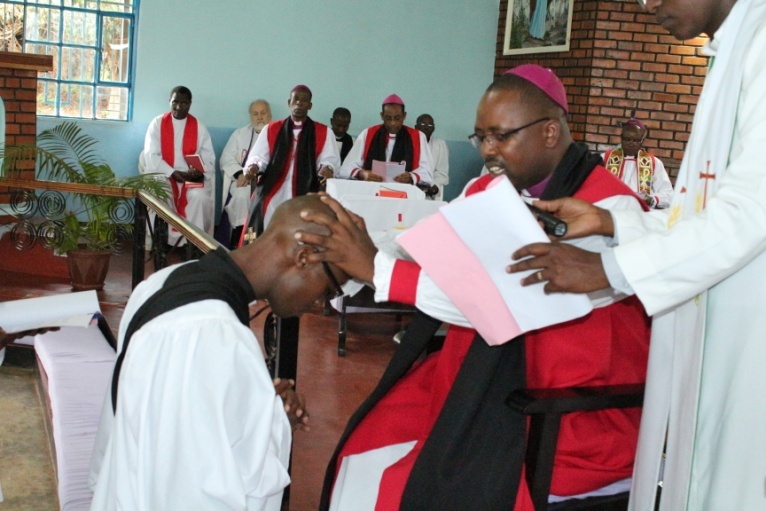 “I was delighted to witness two excellent students from Bujumbura Christian University being ordained, one being priested and the other made a deacon. They are the ‘first-fruits’ of the 42 students currently studying at BCU in the theology faculty,” he said.